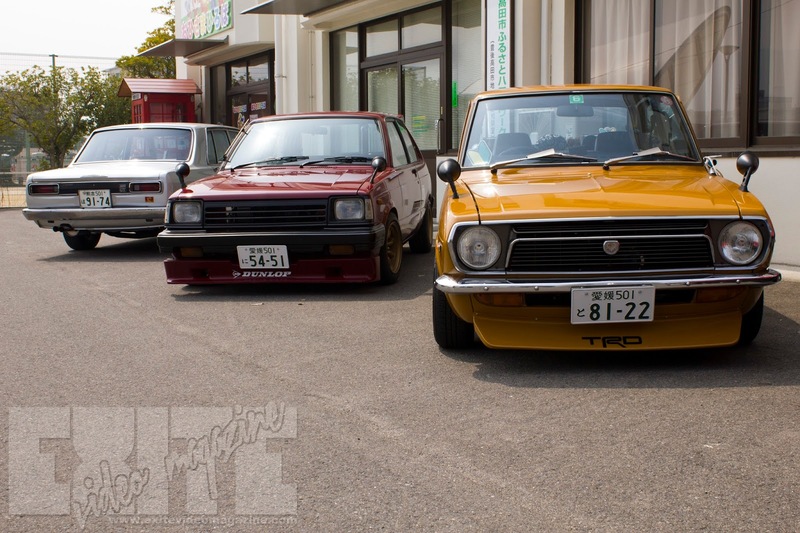 Ok, this seriously is the last shot of the Hakosuka, Starlet, and Carolla from the Bungo Takada Classic Car Show. I'm moving on next to an AE86, but it might not turn out like you expected. And I am still getting to the article about the hand sign used by Tra-Kyoto.